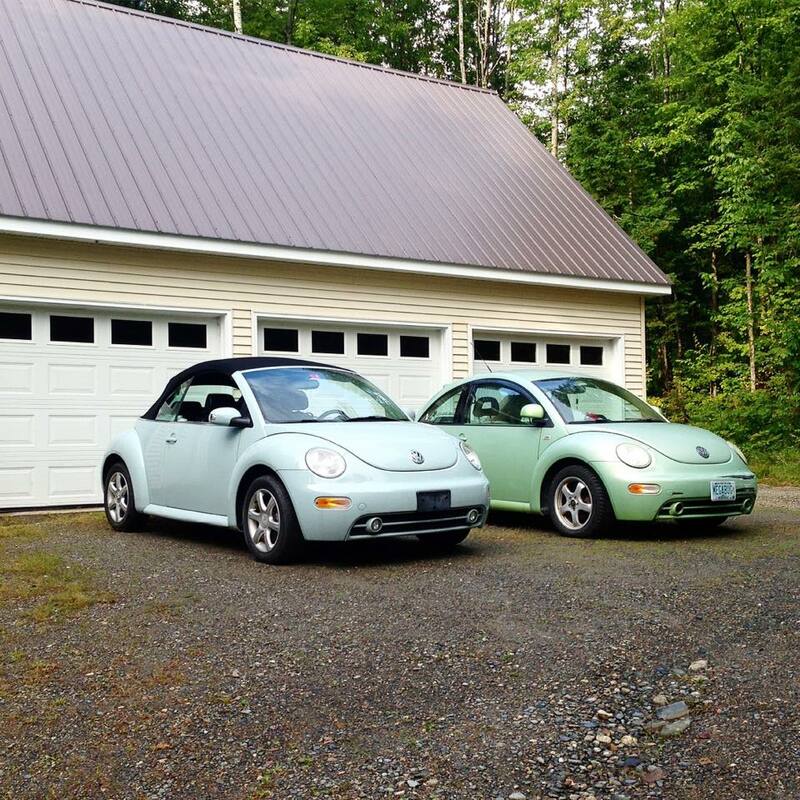 If you couldn't tell, I'm obsessed with VW Beetles. Since I was 12 I dreamed of driving behind the wheel of one, and almost seven years ago the MegaBug came into my life. 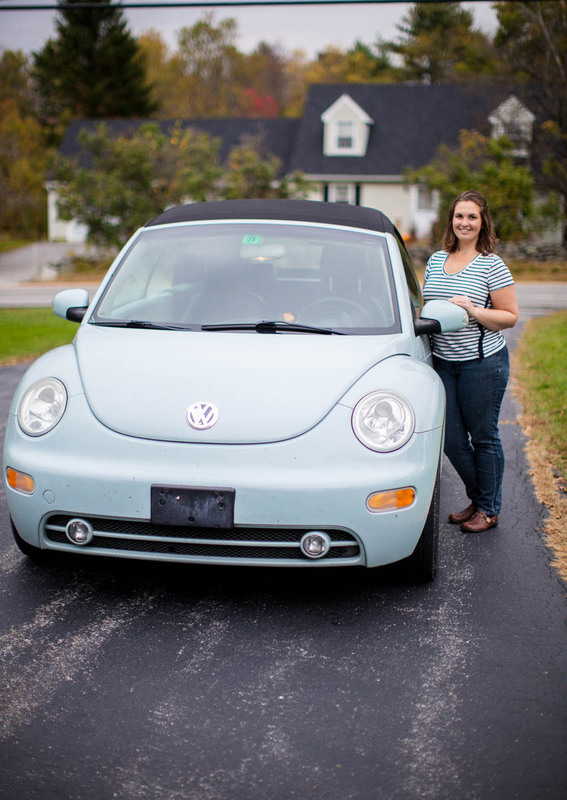 MegaBug is my 1999 green bug and the namesake for this business. With over 200,000 miles, however, she's getting a little tired. So I decided to bring home another bug. This 2005 1.8T convertible is Aquarius blue (a color I've aaaaalways wanted). As Aquarius is also my astrological sign, I, of course, named her Aquarius. I've enjoyed sunny days with the top down and driving Aquarius to shoots. I'm definitely in love! But there's no way I'm letting go of the MegaBug. She is my first love and I will forever drive her. Plus they look adorable together. Check out my personal blog, Miss MegaBug, for more pictures! I'm excited to announce the opening of my new business venture: Nutmeg Media. It will operate as a public relations firm and in addition to writing, will offer social media management, basic website design, and managed marketing services. My previous business, MegAGLOW Marketing, with partner Angie Low was a huge success and we have been grateful to our clients and ability to work together. However, we have decided to take our skills to the next level by operating separately- but still out of Serendipity Studios! I look forward to spending my days writing, designing, and- of course- taking pictured. Oh my gosh! I am ecstatic to announce that Shelby and I eloped over the weekend at our beautiful Mellow Meadows. Yes, eloped. We didn't tell our families and many of our friends until the day after. Shelby and I are introverts (believe it or not) and we've been planning a simple wedding for quite some time. Although I adore the wonderful venues and beautiful details I've seen at the weddings I photograph, Shelby and I have always wanted something low key. We decided to make our rings with Sinead Cleary Jewelry to be as involved in the process as possible. My wedding ring has pearls- my favorite!- as they are Shelby's birthstone, while his contains a small amethyst for mine. With an emphasis on local, we called down Kelly the JP, had Emily Herzig Floral Studio design me a gorgeous flower crown and bouquet, and of course we had a photographer! My friend and studio mate, Angie Low of AGLOW Photography rounded out our local crew. Now I know how all of my clients feel- I want to see our photos now! Shelby and I are loving married life, and are even more excited to share it in our beautiful little home with the meows, Guinevere & Lancelot. This has been one incredible year, and I look forward to what's coming next. Ready to up your photography game? Sign up with your email address to receive tips, tricks, and updates. Sign up to receive updates, class discounts, photography tips, and more! I hate spam email and am sure you do too! I promise to never ever sell or give your contact information away. Because that’s not cool.